The Raya is fun and sporty. This bag goes from day to night with 3 carrying option. 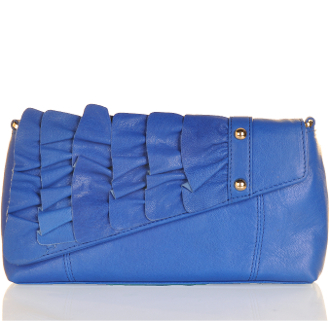 Show of the Raya as a clutch or simply fold out the shoulder strap to carry on your arm. Traveling or walking around the city? No problem! Simply attach the cross body strap to wear with comfort. Dimensions: 12"W x 6"H x 1.5"D | Handle drop: 11" | Strap drop: 27"